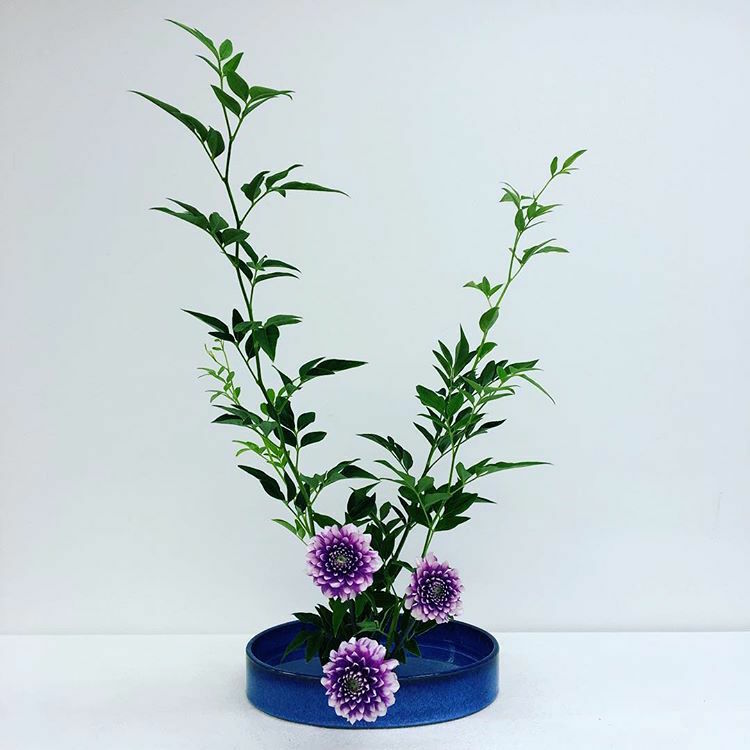 Ikebana: Styles of Japanese Flower Arrangement "Kado"
Ikebana – also known as “Kado”, the way of the flowers, is the art of traditional Japanese flower arrangement. It is more than a simple floral decoration but appreciated as a piece of art like a painting and an object. 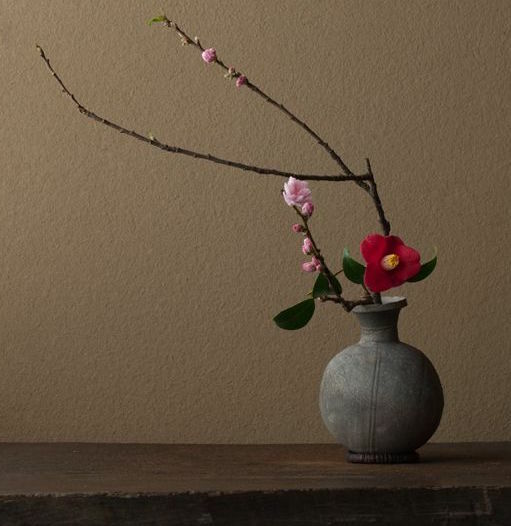 Let’s take a look at its history and styles to understand and enjoy Ikebana more! 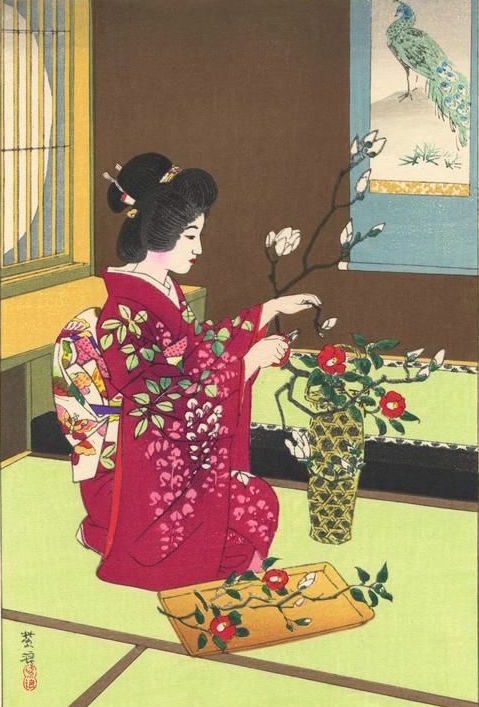 Ikebana is the art form of Japanese flower arrangement which has been practiced for more than six hundred years. 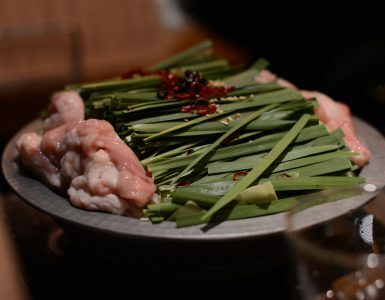 The very origin can be date back to Sasaki Doyo who began “Kado” – the way of the flower. 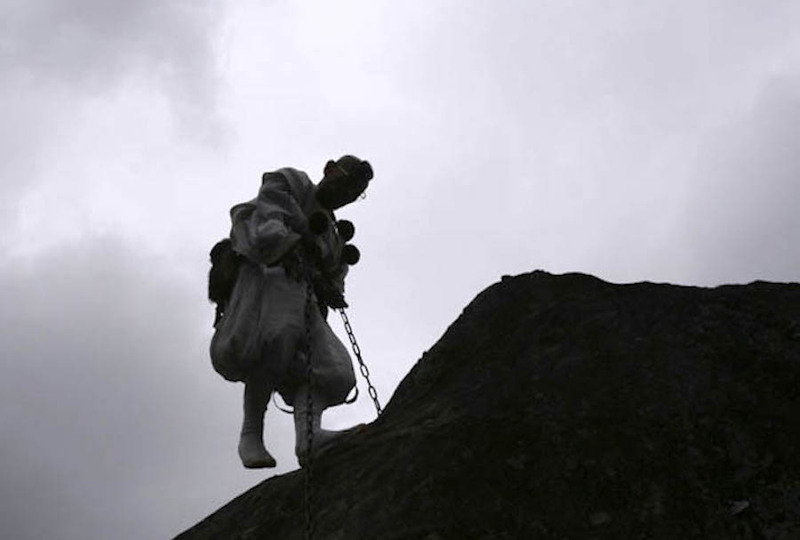 Besides to its floral decoration property, It aims to develop one’s discipline by practicing as a method of meditation and a mean to connect with nature. Contrary to the idea of focusing on the multicolored arrangement of blossoms, it often puts emphasis on other parts of the plants, such as its stems and leaves as well as on its shape, line, and form to express genuine elegance and life force. It’s considered that “Tatebana” (standing flowers) which a combination of Shinto and Buddhism beliefs is most likely to be the origin of Ikebana we see today. Japanese long have been cherished the beauty of wildflowers and always felt the closeness to nature through them. Later, “Tatebana” developed into the style of “Rikka” which we will see later. 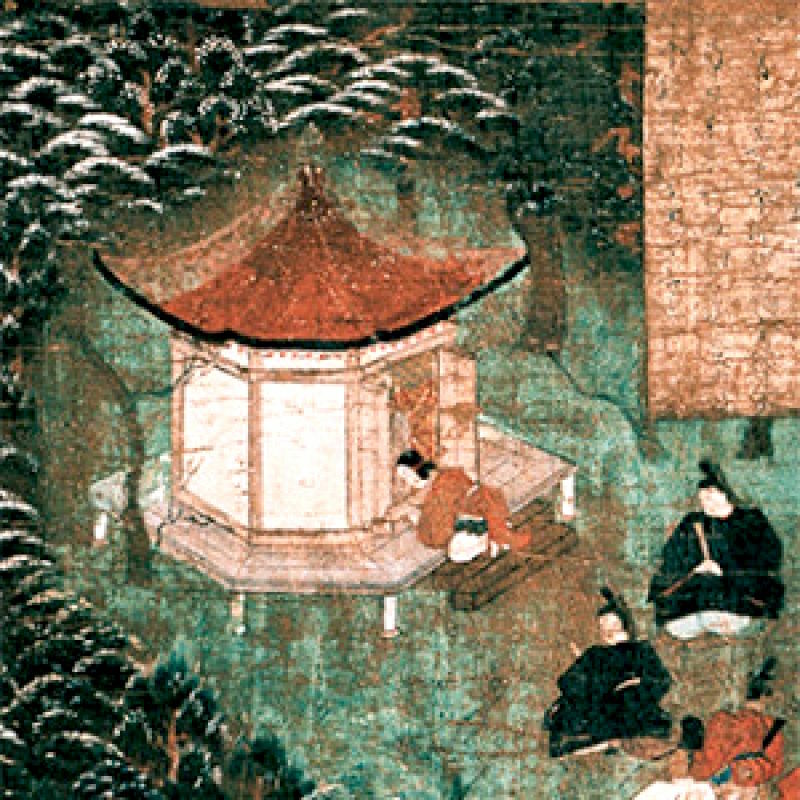 The teachers and students in the early ages were limited to Buddhist priests and members of the nobility. 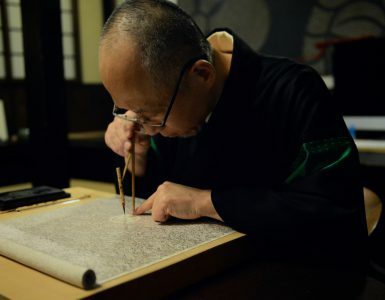 However, as time passed, many schools aroused with changing the styles and produced more variations, it is no longer only for the nobles but for all levels of Japanese society to practice and enjoy. There was a custom putting a flower in a vase to cherish the beauty of nature indoors but the tradition dates back to the 7th century when flowers offered at Buddhist altars to the spirits of the dead and later they were placed in the Toko-no-ma alcove of each house. 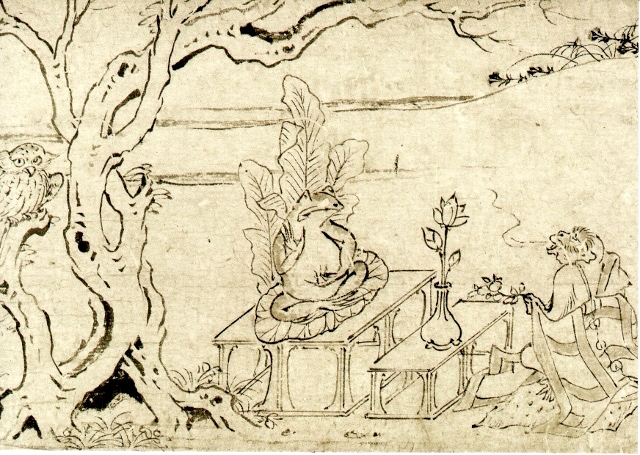 In Buddhist way of thinking, floral decoration was taken to be the medium to express the concept of the cosmos. Originally the Lotus was offered in India, Japanese offered varieties of flowers along with the change of the season. Ikenobo, which is the oldest and the original school of all, began at the Rokkaku-do temple in Kyoto where the Ikenobo family had long been head priests. Among many other schools, Ohara School founded by Unshin Ohara by breaking away from the traditional Ikenobo and Sogetsu School founded by Teshigahara Sofu are the notable ones, and they expanded the world of Ikebana by introducing more freestyles. 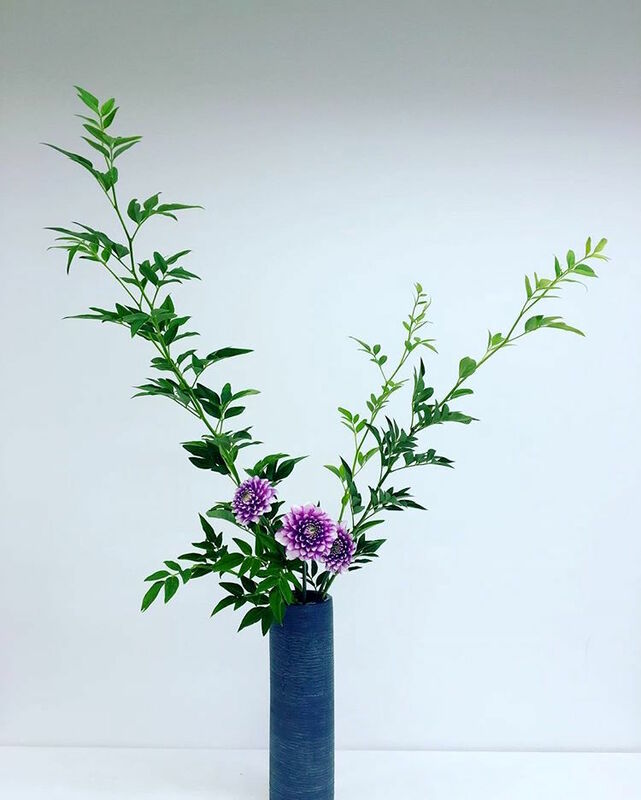 As Ikebana has a long history, there are two very basic styles of Rikka and Shoka which supposed to be put on a Toko-no-ma alcove in a home. In a very simple form, the sense of respect for nature and the passed ones expressed in those two styles, and they set the foundation for the following styles. Around the 20th century, the new wave of Ikebana aroused as new two styles was established along with the changes with of the society. One is Nageire style which doesn’t need any tool other than a tall vase and another is Moribana style which uses a shallow vase with a pin holder to hold flowers. Each style has the upright version, the slanting one and many more variations as well. 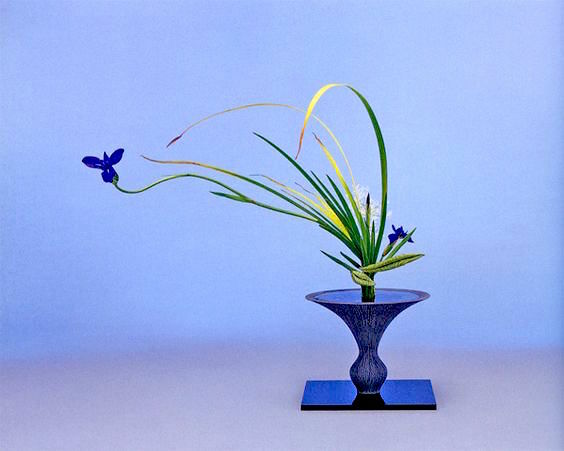 Rikka is the most oldest Ikebana style of all which has been established around from the 14th- the 17th century. The court nobles and Buddhist priests enjoyed arranging flowers by using branches, it represents the whole form of flowers as it is in nature. It is a very simple style, but using relatively a lot of branches make this style looks gorgeous and elegant the same time. 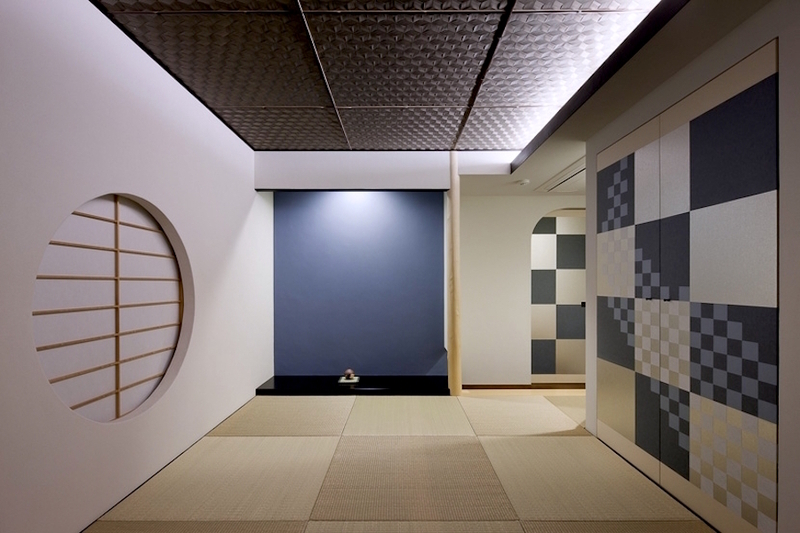 Shoka is the style which has established in the Edo Period (from the 18th to the 19th century), mainly developed for small in commoners’ houses. It is the simplified version of Rikka and it carries the chic and stylish properties which developed into the modern styles we see today. The key consideration is to use a few stems and leaves as possible in composing elegant contours that highlight the flowers’ beauty. This idea can be fundamentally common to that of Minimalism. The term Shoka means “living flower”, the moment of beauty when flowers and plants are born is the ultimate goal of this style. 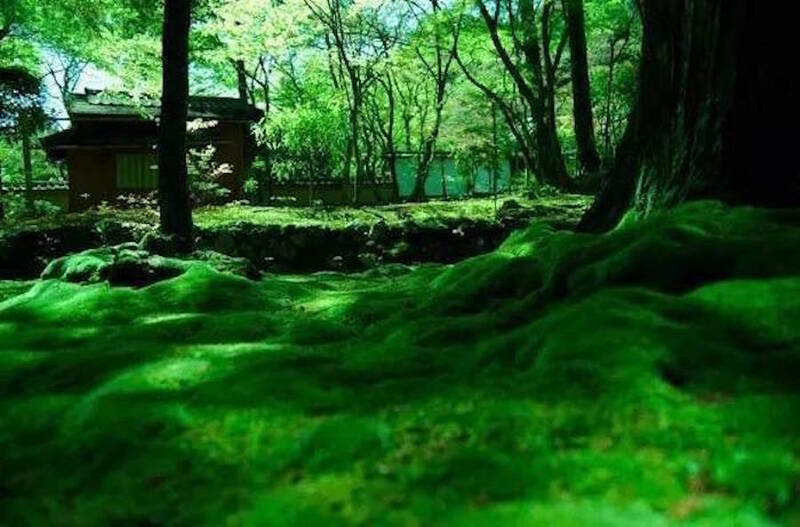 Some say its roots are in Chado which puts importance in every surrounding in a tea room including Toko-no-ma alcove. 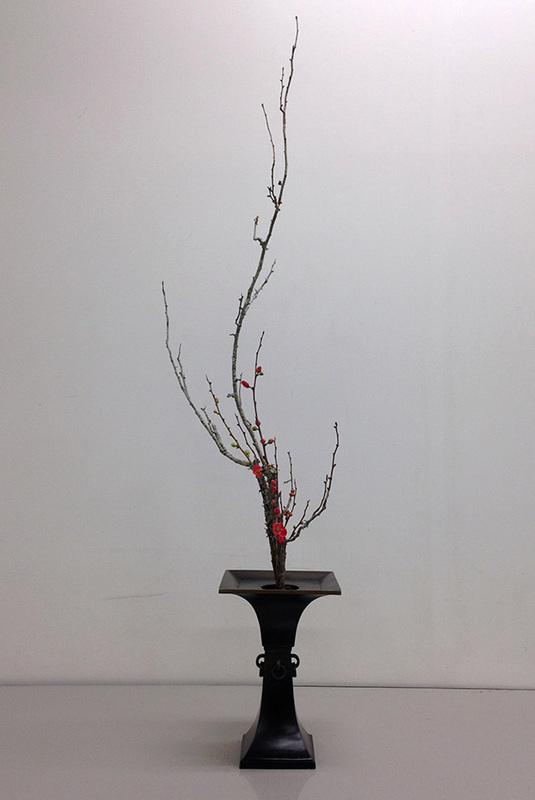 Shoka style Ikebana can add elegance, yet not too showy to keep the harmony in a room. Any tall vase or pot can be used as a container, put flowers in it without using a pin holder. 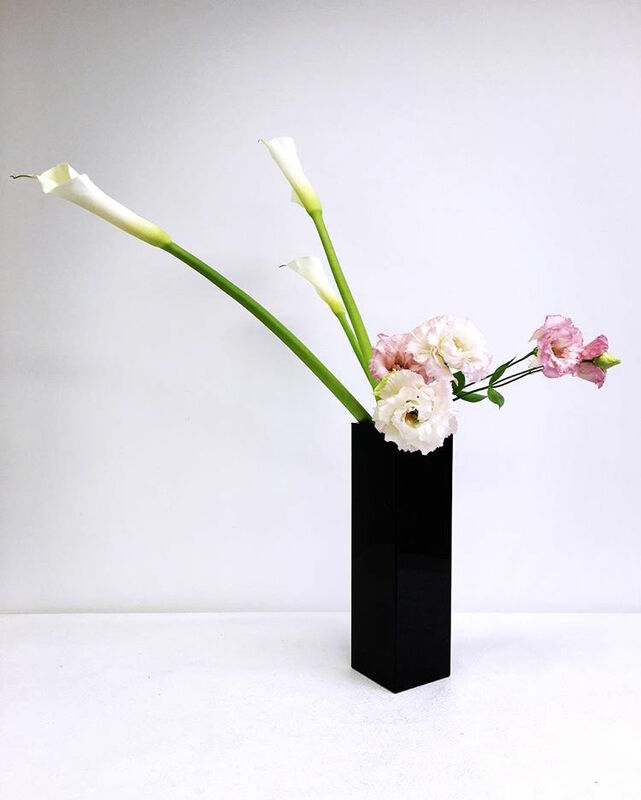 All you have to prepare are flowers and a vase, it is the easiest style of all and popular one since it has the sense of lightness like the breeze. However, it requires you some techniques to put flowers from collapsing and it shows the sense of the artist directly since there are no rules. 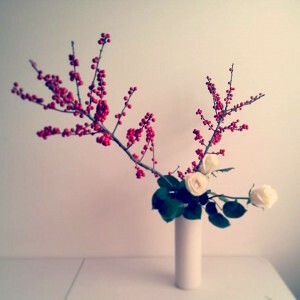 It might be the best style for Ikebana beginners, putting flowers and plants like constructing an architecture. What’s unique about this style is you can see the stems in water, so they developed varieties of decorative pin holders to make the arrangement stand out. At the time of Meiji restoration, Japan experienced a flood of Western culture and changed the customs such as the architecture of houses. 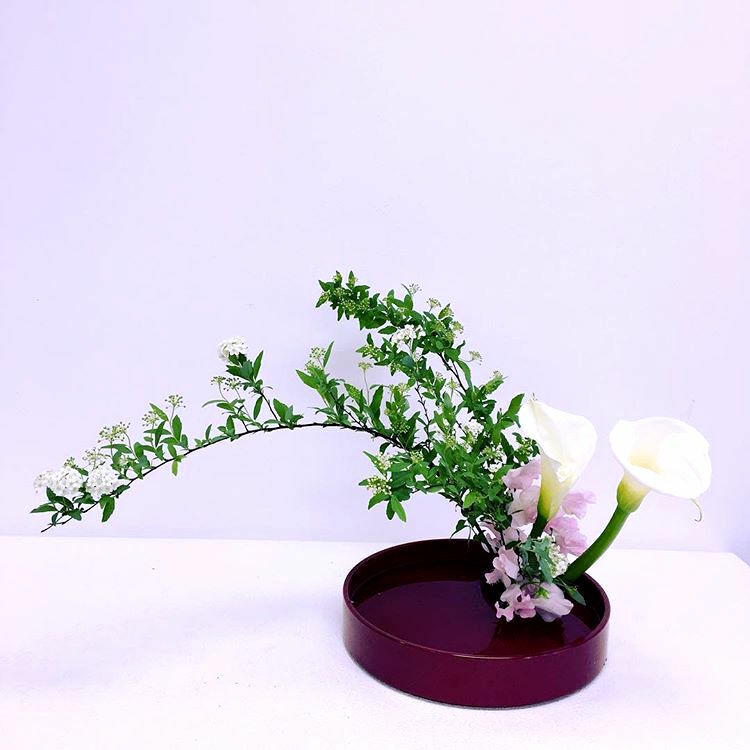 In Ikebana, new freestyle was developed and sterically design of flower arrangement, which can look gorgeous from any angle came to be appreciated. 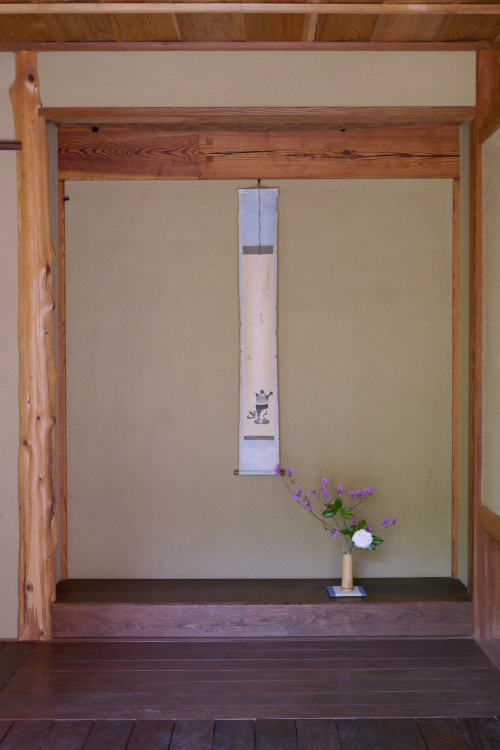 Traditionally, arranged flowers were put in the Toko-no-ma (alcove) in rooms where guests were received in the Japanese style houses. It often is accompanied with a hanging scroll, which can complement the Ikebana or vice versa to express the nature and possibly the hostess’s thoughts on welcoming and entertaining the guests. 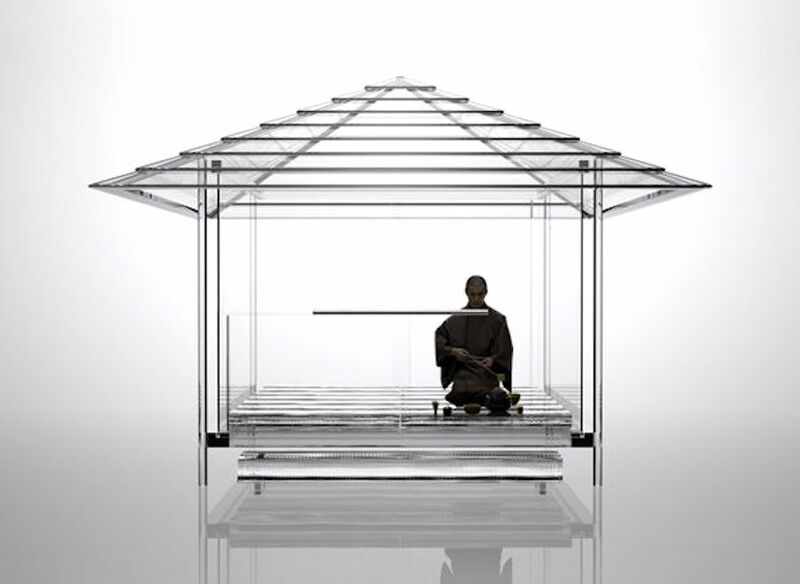 Aside from houses, it can be seen in entrance halls and in lobbies of large buildings and shop windows as well. 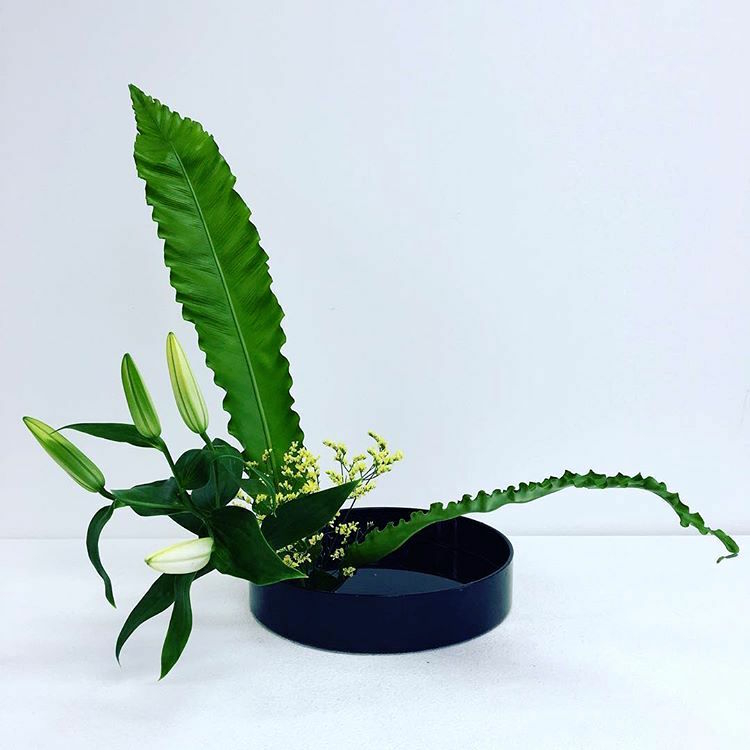 Ultimately, to create a kind of beauty that cannot be found in nature, yet blended well with the surroundings is a goal for practicing Ikebana. You will find a way to arrange flowers in a way it shows its best. However, anyone who practices it can set her own goal to achieve, to pursue whatever she desires using flowers. 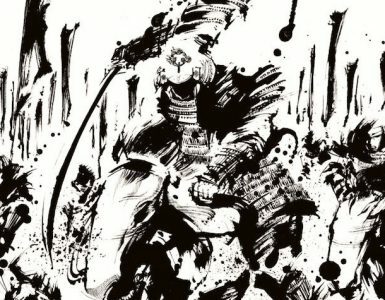 It can inspire you to feel the beauty and closeness while you practice indoor; it creates a link between you and nature as it links the indoors and outdoors. If you put your mind really into it, you can feel the rhythm of nature and order which brings you a whole relaxation and stimulation all at the same time; also, you can be a master who can design space and enjoy its minimalism.